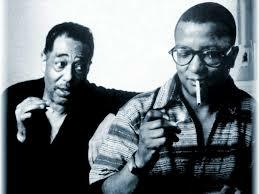 “Something To Live For” was the first official collaboration between Duke Ellington and Billy Strayhorn. It seems I’m negver kissing the one whom I care for. gay as they say it ought to be. Why can’t I have love like that brought to me? “Something To Live For” was recorded on December 3, 1970; it is a previously unreleased outtake from the album Love Story. It was arranged by Peter Matz. “Something To Live For” was recorded on August 11, 1971; it is a previously unreleased outtake from the album Summer of ’42. This version features John Bunch on piano and was arranged by Robert Farnon. “Something To Live For” was recorded in May 1999 and released that same year on the special bonus CD release of Bennett Sings Ellington: Hot & Cool.